Sleep deeper with bamboo sheets, tread lighter on the planet. If you’ve shopped with YoHome before, you already know how much we love bamboo! And it’s what we have become known for. But have you ever wondered how those tall stalks of bamboo are turned into bamboo sheets? 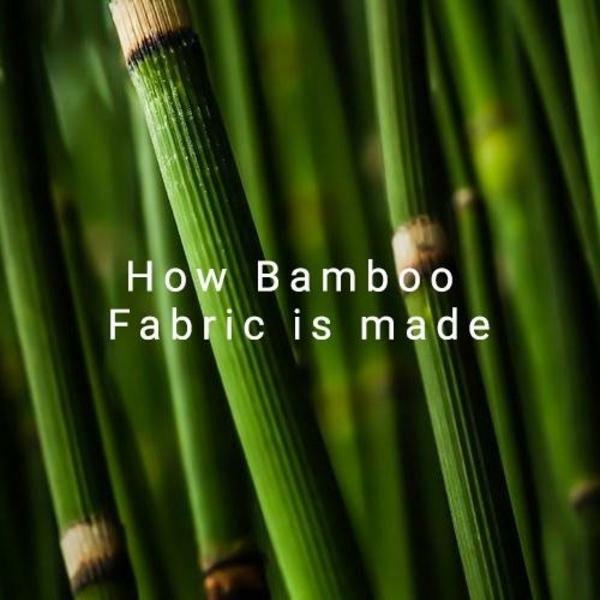 Let’s take a look at how bamboo bed sheets, towels and cloths are made. Bamboo is the fastest growing plant in the world. In only two months, it can reach a height of up to 75 feet! Once the bamboo is harvested, it begins to grow back right away, regenerating itself very quickly. So no environmental upset results from the harvesting of bamboo. Our supplier only uses bamboo that is organic, means naturally grown and free of pesticides. After the bamboo plants have been harvested, the bamboo stalks need to be broken down into fibers. After pulverizing, steaming and boiling, the plant has become pulp. At that point, the fibers can be extracted and spun into yarn. From the yarn, the bamboo is ready to be woven together to become fabric for bamboo products. Along the way, the bamboo is dyed to create a range of fashion colours, each chosen for its likeness to colours in nature. All of our bamboo fabric is dyed using azo-free dyes materials, so you won’t ever have to worry about dangerous carcinogens touching your skin. All the yarn used in the production is OEKO-TEX 100 approved and has been approved every year for the last 5 years. We’re proud to share with you that the entire process of making and dying our bamboo fabric is a closed-loop system. Our supplier – Bambusa’s factory is committed to the environment every step of the way and to this end, they are always working hard to reduce emissions and minimize waste through the recycling program. Also the Bambusa’s factory pays all workers appropriately and does not employ staff under the age of 18. Our eco-friendly bamboo bedding, towels and cloths are created to be gentle on the environment and to your skin. As soon as you get your hands on our beautiful bamboo sheets, we know that you’ll love them just as much as we do.